Gosh, I can feel the love! "Working with Jackie was the easiest part of the whole wedding process. She was very patient and kind with all of my questions and was always quick to respond. My invitations were stunning!" "I wish I could give you a hug!!! THANK YOU!!!! THANK YOU!!!! THANK YOU!!! The invitations came today and they are absolutely lovely! They are perfect and better than I imagined! I love them so much. And the Heritage book! So sweet! Thank you! I love it. Really. So fabulous! You've gone above and beyond!" "Working with Jackie was an absolute pleasure. One of the best parts about working with Jackie is her eye for design. I felt helpless with picking out fonts and colors. She truly listened to what I was looking for created the most gorgeous wedding invitations I have ever seen. She was able to work within our budget and communicated throughout the entire process. She was hands down my favorite vendor to work with. Her studio is beautiful and I felt like I was her only client because she was able to give me so much attention. I initially thought I could get invitations from one of those online suppliers, but believe me, you will be glad you worked with an actual person. I'm hoping I can work with her again soon.  Her organization and professionalism is unmatched." "Working with Jackie was amazing and I could not recommend her enough. We worked entirely over the phone and email- I never met her in person and she still was able to fully understand my vision completely and deliver exactly what I wanted. She was also extremely patient with me, as I will be the first to admit that I was not the easiest customer. My invitations came out perfect and I couldn't be happier. She also did my seating cards, table numbers, and ceremony program for me. Everything came out beautiful." "Jackie is AMAZING! I went in with an idea in my head and Jackie made it happen even better than I could have imagined. 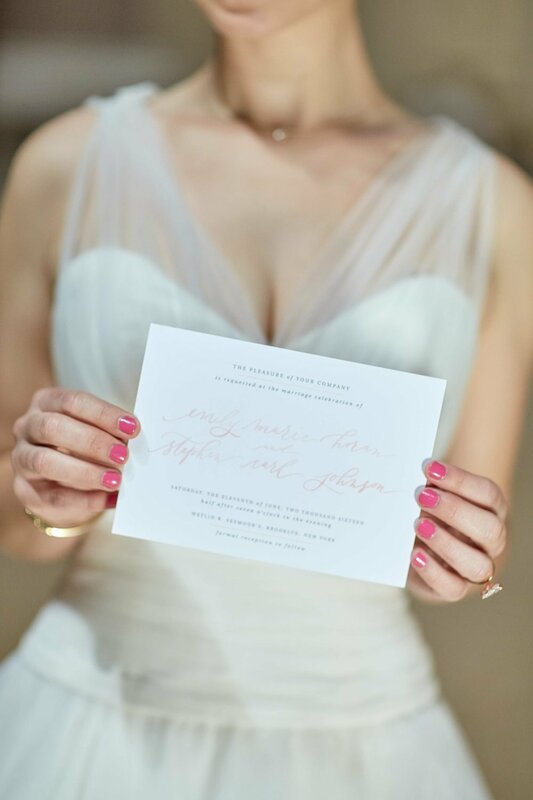 My invitations were beautiful and elegant, and I received so many compliments on them! She was so flexible and accommodating to work with and made sure that we got our dream invitations. She laid out a timeline from the beginning and was always ahead of schedule. Everyone should use Jackie! Can't wait for future events to use Jackie again!" "I cannot say enough about Jackie - she is second to none! Professionalism at its finest, with a real passion for her craft. I knew from the moment I began conversations with Jackie that I could not only trust her with something as important and special as my wedding invitations, but that I could count on her to help make my wedding "vision" a reality. I sent invitations to my guests and within days received numerous texts and emails that my invites were "STUNNING! ", "Beautiful!" and "Elegant!" Her presentation alone is enough to make you want to work with her again and again. Jackie is the jackpot in this business.  In the entirety of my wedding planning, she has by far been my favorite vendor, and completely exceeded expectations with her product and service. I will be a lifetime client! " "I debated for a long time whether I should order my wedding invitations off the Internet or work directly with someone who specializes in stationery. Jackie was recommended to me by a friend and as soon as I looked at her website I fell in love with her and her work. Beginning the process with Jackie I had NO idea how many decisions had to be made (paper type, print style, font, envelopes ahh) but Jackie was very patient and explained everything in detail. She worked with our budget and even adjusted the price as we made other decisions along the way. She was overly accommodating to make sure my invitations were absolutely perfect - and they were!! 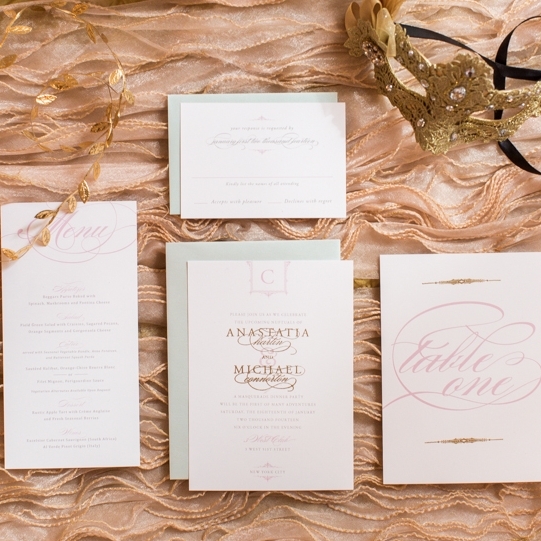 SO many compliments from family and friends about how elegant and regal the invitations were. Her attention to detail and level of service was unparalleled to ANY other vendor I worked with when planning my wedding. LOOK NO FURTHER - Sincerely, Jackie is it!" "If you're still looking for wedding stationery/invitations, look no further! We spent forever looking for the right person to bring our invitation ideas to life and Jackie made that happen. We were so thankful our best friends recommended Jackie to us. Jackie made the entire process quick, stress-free and enjoyable. Our invitations were formal yet classic and somewhat simple at the same time. They turned out exactly how we imagined and the overall design was a perfect fit for our black tie NYC wedding. She is one of the nicest people you'll come across and her attention to detail is immaculate--wait until you get the box with all of your invitations, cards, etc. 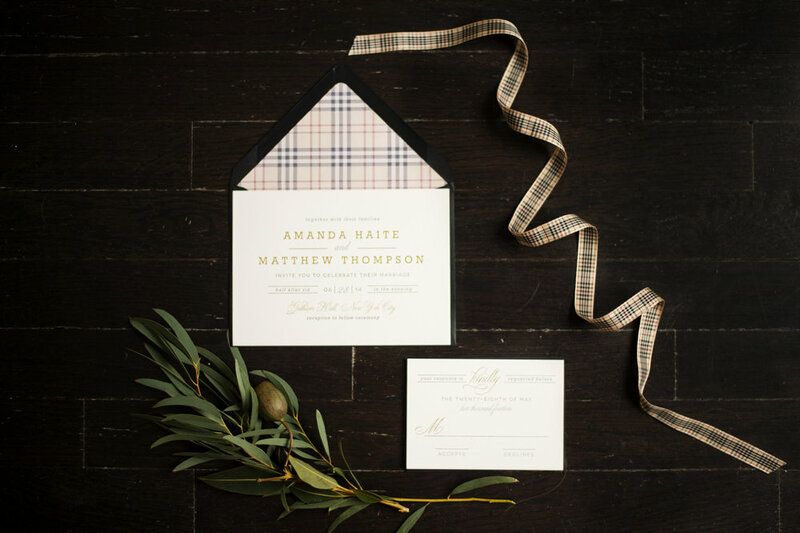 perfectly and carefully wrapped with little notes about stamps and mailing..and even pre-stuffed envelopes so you know exactly how to assemble your invitation suite! Thank you again for everything, Jackie!" KEEP UP WITH THE MOST RECENT FEATURES BY FOLLOWING ALONG HERE. When wedding professionals have free reign, anything can happen. Come experience some of the magic I have been a part of.